Articles on this page all relate to game design concepts. This includes themes, mechanics, and more. No, the title doesn’t refer to your shock that there’s actually a new blog post on Boards & Barley. Instead it refers to a new abstract game design of mine. Waterfall (1961). Photo Credit: mcescher.com. When I was a child I found a small print of M.C. Escher’s Waterfall Lithograph in my dad’s at-home office. At first I thought it was kind of neat but after a few minutes I realized how truly awesome the artwork was. There is an impossibility in the physical concepts of a waterfall flowing uphill. But yet this artwork makes it actually appear possible. M.C. Escher has long been an inspiration of mine. I love trying to wrap my mind around the 2D artwork that portrays 3D impossibilities. So I decided to make an abstract tile placement game around that concept. It is based on an impossibility that occurs in the waterfall lithograph. That impossibility is known as the Penrose Triangle. While I’m not using it exactly, I am using the fundamental idea of the Penrose triangle. I’ll show you below. The game is currently still in the concept phase. I have been trying to work out some “Euro-y” type scoring conditions but I’ll have to playtest it before I decide if they should be public goals or private goals, or a combination of both. If players build a nodelink matching these colors then they will earn the points shown on the card. The first player to build such a nodelink would earn the 4 points while the second player would earn 4 points. I currently have a bunch of different scoring conditions based on the nodes that will be built during the game. I’m looking forward to playtesting it and figuring out some of the balance about these cards. The basic gameplay is simple. It’s sort of a mix between Carcassonne and Qwirkle. Players will play 1 tile anywhere that it fits onto the board. Nodes will be built up this way. Once a node is completed, it’s color is determined by whichever color is of a majority at the node. 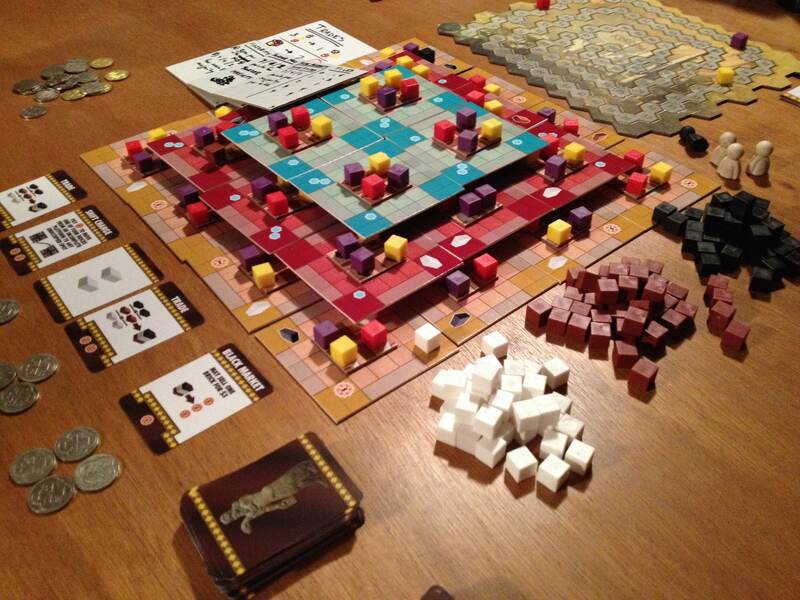 There will also be one-time use bonuses that allow players to play more than one tile at a time. These should allow for players to make awesome moves in the game and have rewarding moments. My hope is that it also allows for some “take-that” type action where you can mess with something that other players are working on. That’s the current status of Impossible. I will be bringing the prototype to Gen Con and I’m hoping to get it in front of some people. Thanks for reading and let me know if you have any questions. 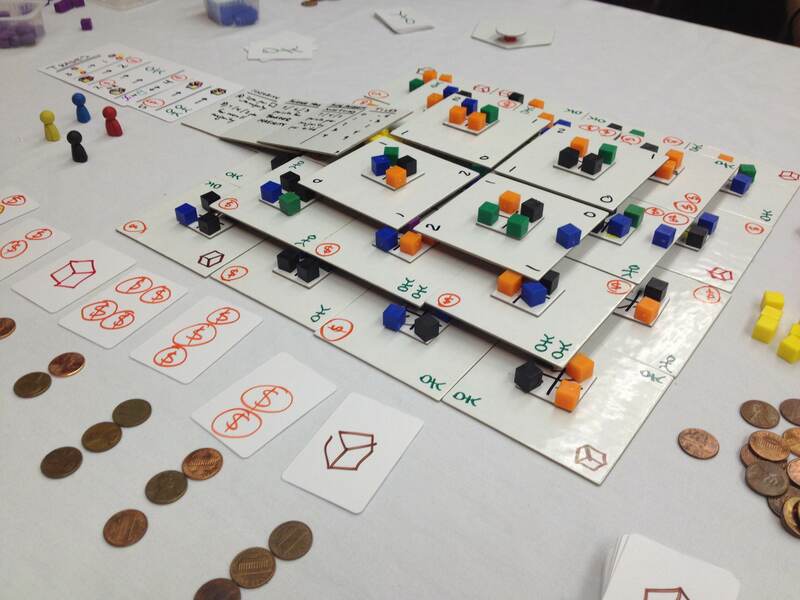 I designed Ziggurat the Thursday evening before Prototspiel-Madison in October. 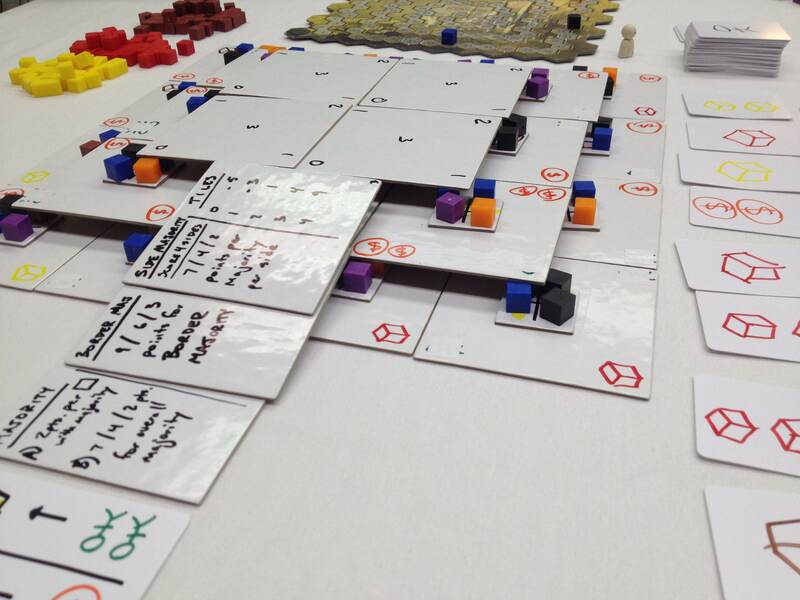 I prototyped it the Friday of Protospiel. It was played four times during Protospiel. And I am finally putting together the pieces to turn it into an awesome game! Ziggurats are like the Sumerian equivalent of Egyptian pyramids. They are basically a huge brick structure with several levels. They served as the focal point of worship in those ancient cultures. Often it is believed that a temple was built atop the ziggurats. Purchase resources (bricks, laborers, special abilities) from the courtyard marketplace. Spend bricks and laborers to build the Ziggurat. One of my design goals is to come up with games that are accessible and easy to teach. Ziggurat is like that. The simplicity of limiting what actions can be taken makes the game accessible for non-gamers. The region of interest, in terms of adding strategy, is to design compelling and interesting decisions into those two options. For example, when purchasing from the courtyard market, would you be willing to pay a higher price for a better card? Also, when building the Ziggurat, does the location where you are building matter? These are the sorts of things I’m trying to design into Ziggurat. Let’s take a look at the prototype. Bare bones prototype demonstrating the 3D nature of the game. The Ziggurat is composed of three levels. On each level there are platforms that need to be built. Players will build the platforms by spending the appropriate resource and then placing one of their player cubes onto the platform. Once the first level is completed it will be scored. Then the large square tiles for the second level will be placed on top of it. 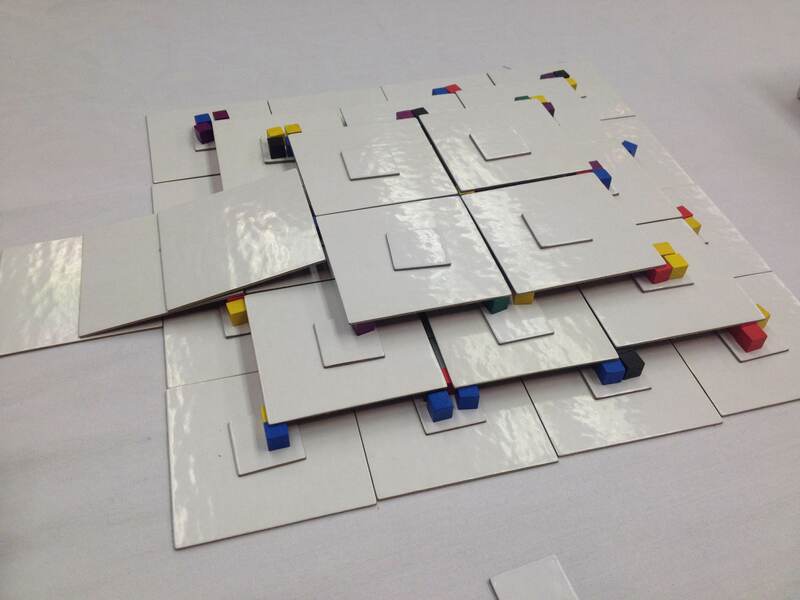 Here is a look at the Prototype with more details on the tiles and platforms. The Ramp lists what the scoring conditions are for the current game. One thing of great importance in the game are the platforms. Each platform requires 4 cubes. When any given platform is completed, each player who helped build the platform will earn some reward. The rewards available are shown on the corners of the tiles. This is a way to ramp things up in the game and loosen the tightness of the resources. It also incentivizes building, which is the whole idea of the game. Ziggurat Completed! Time for final scoring. In the bottom left of the image above you can see the courtyard market. In the current version of the game there are six cards in the market. Players may purchase up to two cards. The card at the end costs zero and the costs ramp up as 1, 1, 2, 3, 4. The image has different costs, which I have since adjusted. Each card represents a laborer OR the resources on the back. Not too shabby, for a prototype! I have some big plans for the game. I want it to be slightly less singular in terms of your goals so I’ll be adding a few other paths to victory. But I solidly enjoy the game as it is. Feel free to ask any questions. I’m excited to hear what people think and I’m just as excited about the future of the game. This one feels like Scoville did when I designed that. I think there’s a lot of potential here. Thanks for reading! Decision space is an important concept for game designers to consider when working on their designs. One of the best things a game can offer is a plethora of interesting decisions. One of the worst things a game can do is limit your decisions or take them away completely. There’s nothing worse in a game when it’s your turn and you only have 1 option. It’s as if you have become a robot just going through the motions. Today I’m going to cover how game designers should consider Decision Space in their designs. At the forefront of game design is the notion that games are supposed to be fun. With that in mind, let’s cover 3 examples of Decision Space in your game can make it better. Some times it’s good to offer a lot of choices. Some times it’s good to limit a player’s choices. But the point of this article is that the decision space available to players is an important concept to consider in your game designs. Okay… first off, “Unlimited” is a bit of a misnomer. I do not believe there are any games with a truly infinite decision space. Rather, this is meant to point out situations where the decision space is so large that the players do not feel limited in any way. The world is their oyster, in essence. Build as you see fit! One great example of an unlimited decision space is the route-building aspect of the classic game Empire Builder. There is a huge map and you have your special little crayon. You can stare at the board and your cards for a long time while yielding the power of the unlimited. Where should you begin your route? Where should the route go? Should you cross the rivers/mountains or go around? How much track should you lay? There are a lot of decisions you could make about the route you want to build. There is a nice liberty in having an unlimited decision space. Players often enjoy being able to choose freely, to mess up freely, to make an awesome move freely. Consider utilizing an unlimited decision space in games where you want players to have full control and to be fully accountable for their decisions. Sometimes it is prudent to limit the decisions a player can make. These situations are common at the start of a game. Two great examples are Dominion and Eminent Domain. These are both deckbuilding games. In standard deckbuilding games you start with a very limited hand of cards. One your first few turns you will be limited in what you can do. Limiting the decision space early in a game can be beneficial to help a player get used to how the game operates. Another example of “limited” decision space comes from the popular game Ticket to Ride. In the game you have three options on your turn. You can draw more route cards, play trains to the board, or draw train cards. And even the choices within those options are limited. You can only play trains to the board if you have the right cards in your hand. You can only draw train cards from the face up cards or the face down pile. One of the ways that Limited decision space can be fun is by adding tension to game. Using Ticket to Ride as the example again, players have tension due to the limitation. Maybe they just need one more green train to claim that big route. But perhaps another player has already built near the green route. Not that first player is hoping that the other player doesn’t take that green connection that they’ve been working on. But because the decisions are limited, the player has a slight feeling of helplessness. Limiting the options on a player’s turn can also speed up the game. Sometimes (or perhaps often) the Unlimited decision space games tend to get into the Analysis Paralysis (AP) regime. Limited decision space games tend to decrease the amount of AP in games. Tailored decision space refers to situations in games where the decisions you previously made will shape the decisions you have available in later turns in the game. Often games with tailoring offer multiple paths to victory where once a path has been chosen it is better to continue following that path than to start working on a different path. How will you shape the countryside? Some of the best examples that I can think of are Uwe Rosenberg’s games Le Havre and Ora et Labora. In Ora et Labora players start with a plot of land that they are looking to develop. Throughout the game players will add buildings to the land that provide new actions. Then on their next turn, those previously placed buildings add to the decision space available for the player. This is actually a common thing in engine building games. Engine builders are games where you build something and increase your skills/options/capabilities. In most of these games you can build something, that let’s you improve it, and then make it really awesome. All along the way you can either diversify and build a bunch of stuff that might be mediocre. Or you could possibly build one type of thing and make it really awesome. The card game 7 Wonders also has a “tailored decision space” feel to it. In each of the three stages you can play cards to tailor your wonder in one of several different types of things. By adding resource production you can set yourself up for different types of things. For example, if you produce the manufactured goods (gray cards) then you can usually do pretty well with the science cards (green). So the cards you choose throughout the game will tailor the decision space that makes the most sense as you move your way toward victory. I think having a tailored decision space in games allows players to feel like they are really accomplishing good stuff throughout the game. In Scoville the field acts as a tailored decision space. Each round as new peppers are added you are creating new opportunities for breeding peppers. Each new spot opens up the number of decisions you can choose. Tailored decision space is also a way that you can steer your strategy in a game. By choosing card A it might make card B much more attractive. Then by choosing card B it might make card C more attractive. As a gamer none of this really matters. Just find a game that you think is fun and play it. As a designer, it can be worthwhile to consider the way decision space works in your game designs. Are you limiting players? Are you allowing them freedom of choice? Decision space is an easy thing to neglect when designing a game. Normally we’ll pick a theme or pick a mechanic and start designing. But I wonder how things would go if a designer chose the type of decision space they wanted and then added a theme and mechanic after the fact. What are your thoughts about decision space in games? Did I get it completely wrong? Does it make sense? I’m starting a new feature on Boards & Barley called “Design Me.” These features will allow me to let my brain spew words onto this site in an effort to come up with a random game design. The idea here is to “exercise” my game design brain and “flex” my game design muscles. Consider it like practice. Athletes go and work out, lift weights, and other things like that. So as a game designer I think we should do the same thing. Bear in mind that this is an exercise and exercises are not nearly as elegant as actually seeing an athlete perform. 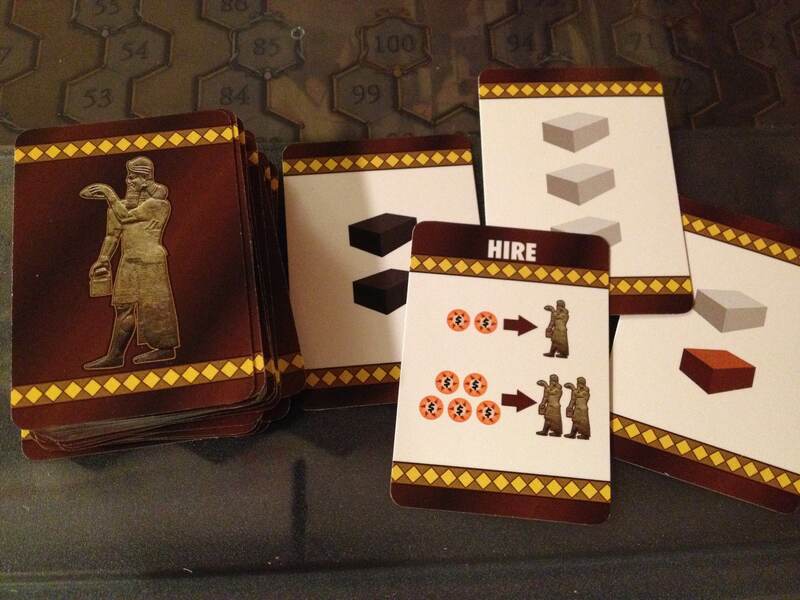 @EdPMarriott how about a worker placement where the workers come from a dice draft all about brewing beer? Not a very rolling boil. Hopefully the design rolls better! First of all, I really enjoy the idea of dice drafting and using dice as workers. It works really well in both Alien Frontiers and The Castles of Burgundy, the latter being one of my favorite games. Granted, they don’t necessarily use dice drafting, but the general concept is there. Brewing beer involves a few different things. You need to gather the right ingredients, gather the right equipment, have a facility, and possess skill in brewing. So let’s break each of those down into different parts of the game. 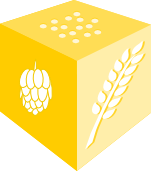 In The Rolling Wort Boil players must utilize the best dice for gathering ingredients and equipment, upgrading your facility, and perfecting the art of craft brewing. Dice will be used for each of those things. There will be two types of dice. One type will be used to gather the right stuff. The other type will represent people and their skills. Let’s explore the former type first. Trying to exercise my art skills as well. The top is supposed to be yeast. I would design the game to be played where each round had a gathering phase and a brewing phase. In the gathering phase each player would roll a number of gathering dice. These dice would have different symbols on them. Those symbols could be grain, water, hops, or yeast. Each player would roll their gathering dice. Then they would choose one die and pass the rest. They would then choose from the dice that were passed to them. This drafting would continue until all dice were chosen. These gathering dice then form your team that you can use to go claim ingredients and equipment. What you’re trying to do while drafting is create combinations of dice that you can use. Players could, for example, collect three hops, which would allow them to harvest hops. If someone only gathered two hops, they’d still be allowed to place those on the worker placement spots on the board, but they would go second and get worse hops. So the way it would work is similar to Alien Frontiers. You need certain combinations of dice to be able to harvest certain things. For hops it could be that you need at least three hops. For Yeast you might need three different symbols, one of which is yeast. Once everyone has drafted, then people could start claiming the worker placement spots with their combinations of dice. As dice are allocated to the board, the players would immediately harvest whatever their dice allow. So through the dice drafting you are trying to create the best set of dice that will allow you to maximize your combinations, and thus harvest the best/most ingredients. I imagine the gathering of equipment would work the same way. Here’s where things can get a little more interesting. Now we’ve got resources and equipment. We’re homebrewing in our garage. But we have a basic homebrewer with little skill. The employee dice will serve a few different functions. These include increasing skill, increasing quanity, and increasing efficiency. The trick here is that a pool of employee dice are provided by the game based on the locations where people placed their gathering dice. So the depth of the strategy is not simply in gathering and using resources, but gathering resources so that you can get the employee die into the game that you strongly desire. Turn order would also matter in this case. Let’s imagine you used three hops dice in the field that provided a “skill” employee die face. If that’s what you really wanted you would have to make sure you go first during the brewing portion of the game so that you can choose the skill die. Perhaps you knew you would not go first when choosing the employee dice. Then maybe you would have put your three hops dice into the fields on the spot that provided a “quantity” employee die. So there’s control over what your gathering, and the resulting employees. These dice would then be drafted and utilized after the harvest. Dice drafting of gathering dice. Placement of gathering dice combos onto the board. Harvesting/gathering of ingredients/equipment based on placement. Pooling of employee dice from those placements. Drafting of employee dice in turn order. Usage of employee dice to brew and upgrade your facility. 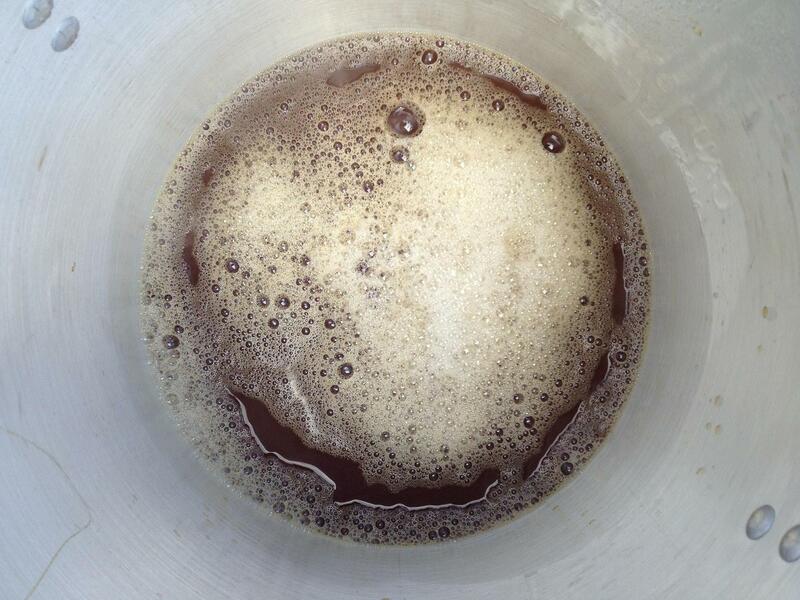 To win The Rolling Wort Boil, players must brew high quality or high quantities of beer. This requires them to maximize their ability to gather as many ingredients as possible, while also increasing their employee’s skills and upgrading their equipment. 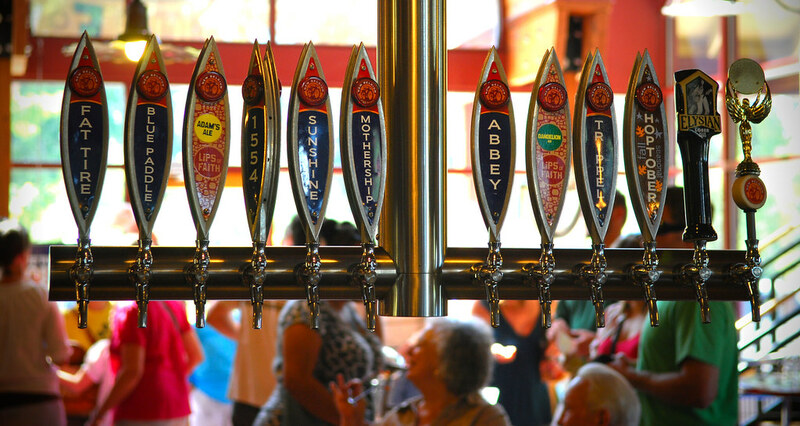 Each batch of beer they produce would be worth points based on the ingredients used, the skill of the brewer, and the level of the facility. I imagine the game would take 30-45 minutes, have a light-ish feel, and be best played with a Hefeweizen of IPA. So there’s our first “Design Me” Friday. Any thoughts about the game design? What would you do differently? And most importantly, does the game sound like it’s any fun. Thanks again to Tasty Minstrel for the idea. I’m looking forward to the next Design Me in two weeks.